Arsenal will tomorrow welcome French side Rennes at the Emirates Stadium and Unai Emery has spoken out on if Aubameyang and Lacazette will start the match. Rennes have already arrived in London for the second leg of their encounter with Arsenal and most of the gooners will be hoping to see both Aubameyang and Lacazette in the starting eleven since they are both eligible to play in this game. Unai Emery surprised everyone on Sunday when he played both Aubameyang and Lacazette in Arsenal’s 2-0 win over Manchester United. Playing both of them was a bold move that worked because Lacazette assisted Arsenal’s first goal while Aubameyang also scored in the second half. Lacazette will be eligible to play in tomorrow’s game after UEFA reduced his sentence to only two matches and most of the Arsenal fans are now calling on Unai Emery to use the same squad ( with exception of Sokratis ) and formation that he used against Manchester United on Sunday because it got them the three points over an on form side. Arsenal head coach Unai Emery has today faced the media for his pre-match thoughts about tomorrow’s Europa match and one of the questions was if he was going to include both Aubameyang and Lacazette in the starting eleven. Emery did not give anything away but he did hint at changing tactics or maybe the formation used on Sunday since it’s a different opponent. 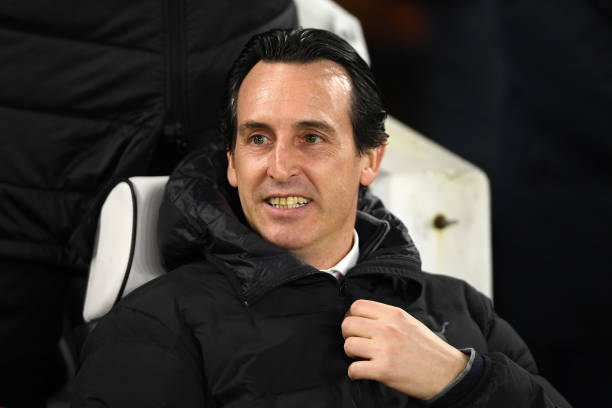 “Tomorrow I am thinking not only of the first 11, because I think we are going to need different situations, maybe different systems and maybe different players.” Unai Emery told Football.London. Most of the Arsenal supporters will be disappointed if Unai Emery does not include both of their strikers in the starting eleven when they are badly in need of a good start to stand any chance of qualifying to the UEFA Europa League quarter finals.